Brunel is situated about a 20-minute walk from the centre of Uxbridge which is approximately 8 miles from Central London. Uxbridge is on the Tube network – both Metropolitan and Piccadilly lines. From Uxbridge is a straightforward tube journey on the Piccadilly line to Heathrow airport. The population of Uxbridge itself is about 11,000. January is usually the coldest month and the average lowest temperature is 3 degrees. July is the warmest month with an average high temperature of 22.5 degrees. Brunel can trace its history back to 1798. In 1962 it became a College of Advanced Technology and in 1966 it was awarded a royal charter to become Brunel University. It has always had a strong focus on technical subjects and in 1980 merged with Shoreditch College of Education, one of the leading teacher training colleges in the field of craft, design and technology. In 1995, West London Institute of Higher Education became Brunel University College, which merged with the University two years later. Brunel’s traditional fields remained engineering, science, technology, social science, education and management, but the merger added expertise in new subject area such as performing arts, humanities, geography, health, social work, sport sciences and business. Brunel is a true campus-based university, so students are never more than a ten minute walk from halls of residence, catering, social, sports and study facilities, lecture theatres, the Library and support services. The campus is 20 minutes walk from Uxbridge town centre which has direct tube links to central London. Students should allow an hour to get from campus into Central London. Brunel university is currently ranked between 401-500th in the Times Higher Education University rankings. Brunel is ranked between 401-500 in the Shanghai Jaio Tong rankings. Brunel is not a member of the Russell group of universities. Brunel university is ranked =116th in the National Student Survey Satisfaction rankings. Brunel has over 2,500 international students from more than 110 countries representing over 16% of all students. Pathway entry for international students-LBIC London Brunel international College, offers foundation courses leading to degree course entry. The total student population of Brunel is nearly 15,000 students. Over 10,000 are undergraduate students while 5,000 are post graduate students. HESA govt statistics show that 90.7% of Brunel graduates are in employment or in further education 6 months after graduation. However, a breakdown of post-graduation employment by course, showing the split into professional/managerial positions, rather than general employment figures, is available from Unistats an independent source of university data. For more information, please visit the REF Information page. Brunel’s Indoor Athletics Centre (IAC) is the centrepiece of the University’s performance sport facilities. It includes 132m, 6-lane Sprints and Hurdles straight track, two Long Jump/Triple Jump pits, Pole Vault Area. The university also has a sports hall and netball hall available for sports such as badminton, volleyball, indoor cricket nets. All told, the Student Union runs over 100 sports clubs and societies for students to join. All university accommodation is no more than 10 minutes walk from the campus. All the halls of residence are self catering and include shared kitchen facilities. The contract period is 37 weeks. There are also university studio flats available for co-habiting couples, complete with their own kitchen. The lowest price for a single room with shared bathroom and kitchen facilities is £108.15 per week. There is no catered university accommodation. 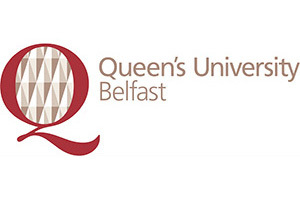 Fees for full time undergraduate courses start at £15,400 for most Arts/Social science and Business related courses and up to £18,720 to study Science related subjects. 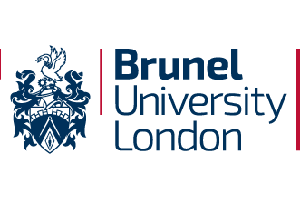 Brunel offers 7 masters courses via online learning. They are all in technical subjects including: Engineering Management MSc, Packaging Technology Management MSc, Building Services Engineering MSc.